It’s a good day for edits here on Flatmattersonline! Whenever Yuki Itoh aka yukipkoproject drops a new project I’m glued to the scene. This Toyosu Jam Vol.10 was filmed by Takaya Matsumoto and edited and directed by the man himself. As always the riding doesn’t disappointment and showcases multiple generations of riders from Yuki Itoh killing the front wheel at 1:22 mark through to the young buck Yuta Watanabe showing his skills at 00:39. Add Masashi Itani at 1:54 and Takuji Kasahara at 2:15 and you have one easy on the eye edit, not to mention the other riders. Love these edits from Japan! Culiadasos Style from jereromero on Vimeo. Andrés León sent this raw feeling South American edit that was born on What’s app, featuring the likes of Benjamin Hudson, Owen Bohn, Takuji Kasahara, Arturo Garay and many more. Sit down with your morning cuppa and enjoy this one! FISE Denver 2016 – Pro BMX Flatland Qualification Runs from Henry Wagner on Vimeo. 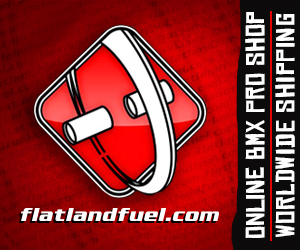 At 44 minutes long, when you have some spare time to kill grab yourself a cuppa and enjoy the Pro flatland qualification runs from Fise Denver last weekend. Featuring Brian Gavagan, Stephen Cerra, Benjamin Hudson, Bryan Huffman, Adam Kun, James McGraw, Omari Cato, Bo Wade, Takuji Kasahara, Williams Perez, Joris Bretagnolles, Alex Jumelin, and Matthias Dandois. Shoutout to Henry Wagner and his bro, for taking the time to do this! Dwix is back, check this jam sessions edit with Melvyn Masson, Charles Paty, Takuji Kasahara, Federico Capón, Maxime Cassagne, Matthieu Bonnecuelle, Joris Bretagnolles, Thomas Noyer, Jérémy Brosset, Gurvan Le Bloc’h, Benjamin Hudson, Lee Musselwhite & Didier Genet.